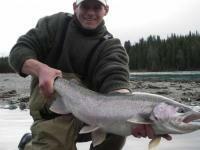 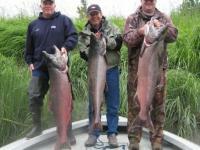 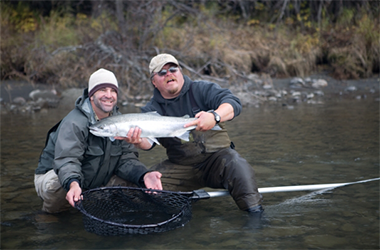 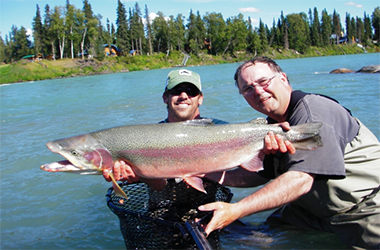 Kenai River Fly Fishing is one of the best kept secrets on the Kenai Peninsula. 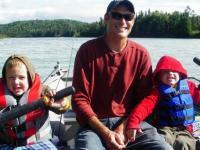 Power boat or drift boat provides a relaxing and extremely productive method of fishing the middle and upper stretches of the Kenai River. 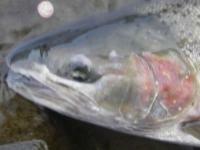 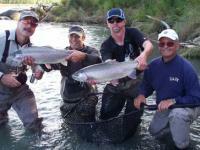 Mature Rainbows and an abundance of Dolly Varden frequent these waters during August and September. 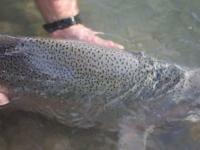 This is catch-and-release fishing only, which produces daily catches of 15-50 fish per person. 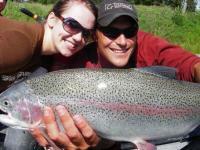 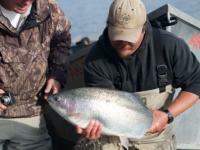 The Rainbows caught here are often over 10 pounds, with some weighing as much as 20 pounds. 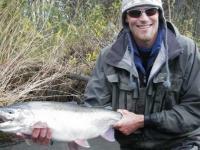 Battling a massive 30” rainbow trout on an eight weight fly rod is an amazing experience for those lucky enough to hook in to one. 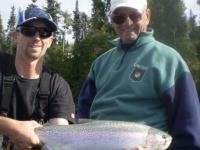 Packages available from June 11th through October! 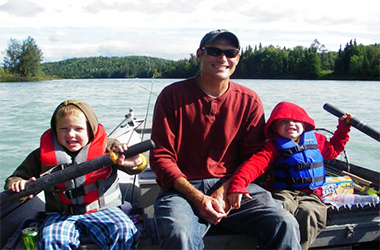 Call 888-480-7919 FREE Click Here!